Overcoming our greatest challenges is not easy but it is possible. If you missed part one of this series please CLICK HERE to read it. CLICK HERE for part two. The e-mails follow a progression. Also, don’t forget to use the model below as a reference. Do you still have the challenge you wrote down or brought to mind from last week? The third step lies in changing your behavior of what you do about the situation. 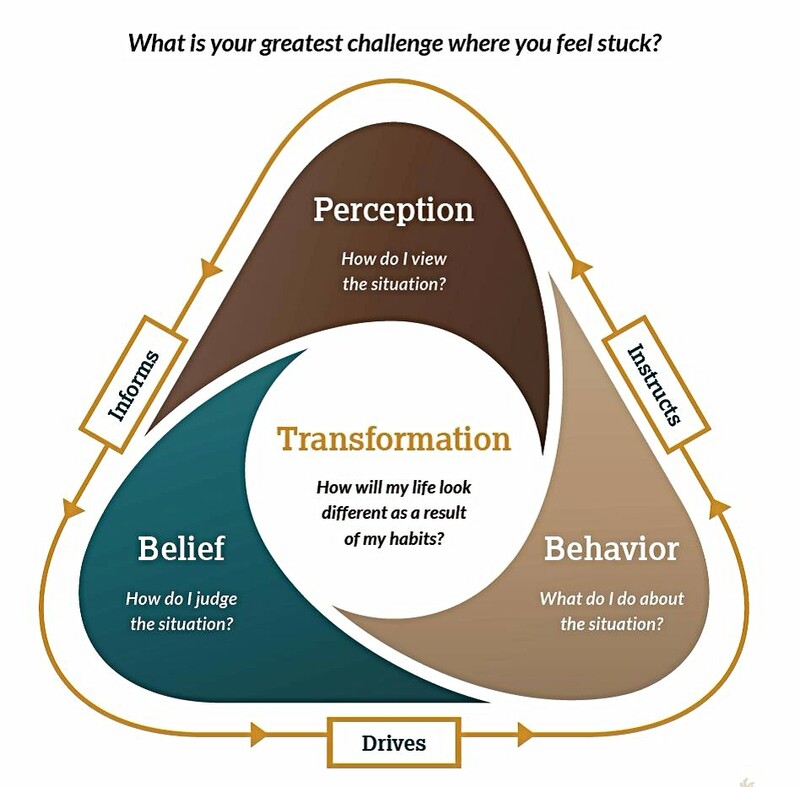 After some of my self-limiting beliefs had changed I noticed that some of my behaviors began to change without a great deal of focus or intense thought. Those deeply entrenched beliefs had lost their hold on my life. Some of the examples of things that began to change in my life were that I launched this very coaching business, I joined a program and lost 40 pounds, I became a more disciplined father & husband, I took my religious faith more seriously, amongst others. My life was changing right before my eyes from the new beliefs that I held. I learned that it is our beliefs that drive our behaviors. I also began to see that I would learn things from my behaviors and those behaviors began to instruct my perceptions. These changes became part of a positive feedback loop that led to significant positive changes of transforming my burdens into blessings. I have also become aware over time that is feedback loop can also turn into a negative feedback loop that produces negative behaviors if you adopt negative perceptions. The question that I started to hear from the people in my life was: “Graham, what did you do? What did you do to make all of these changes?” The more I thought about this question being asked of me, the more I realized that this was indeed the wrong question. The right question was not one of what I did, but rather the right question was who did I become? Who did I become as a result of these changes? That is where we will pick up next week in the final part of this series. We will focus on the transformation that happens in your life as a result of your habits. If you need some help in overcoming your greatest challenge make sure to set up a free inquiry call with me. CLICK HERE to book your free inquiry call.